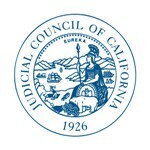 SAN FRANCISCO—Chief Justice Tani G. Cantil-Sakauye appointed 84 new members to the Judicial Council’s standing advisory committees (new members and new committee chairs are in listed in bold), which keep the council aware of issues facing the judiciary and make recommendations on how to address them. More than 500 total membership positions exist on the council’s 24 standing advisory committees. The 84 new members include representatives from 35 superior and appellate courts, which constitute both large and small, and urban and rural courts. Every superior and appellate court is represented on at least one of the 24 standing advisory committees. While the majority of committee members are justices, judges, and court personnel, the advisory committees include a broad range of members to ensure the council hears from many voices from within and outside of the judicial system. Other members include attorneys, interpreters, professors, child advocates, psychologists, tribal courts, and representatives from legal services, public libraries, and other judicial branch stakeholders. Chief Justice Cantil-Sakauye also made appointments to the Judicial Council’s internal committees, which consist solely of current members of the council.